RCF L12R300 12" woofer with 300WRMS power handling. Zomax 2030 Mid-range compression driver (3" coil) with 75WRMS power handling mounted on a die cast iron horn. First I had to choose a box design. 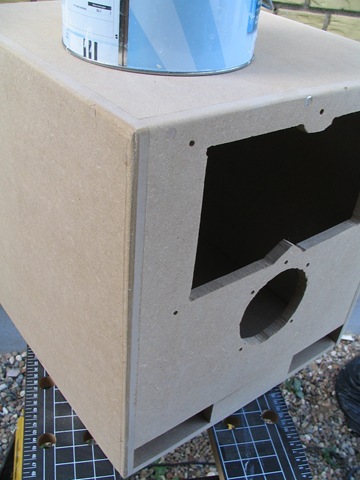 The woofer's TS-parameters clearly indicate that it's best suited for a vented box. But having a 12" object on the front isn't at all discreet. 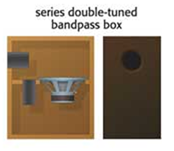 An alternative is to use a serial bandpass design commonly used in subwoofers, where the speaker is mounted inside the box, and reflex ports are on the front and parallel with the speaker. Acoustically it's a much more complicated design than a closed or basic vented box design, so it's a fun challenge and I like the advantages in the physical design. Using loudspeaker box design software I modeled and tweaked the parameters until I got the dimensions and acoustics I wanted, i.e. a box with a frequency response from <50 Hz to 500 Hz and dimensions about 0.3x0.3x0.3 meter (about 1 ft^3). I guess that is the most compact speaker built with devices like this. 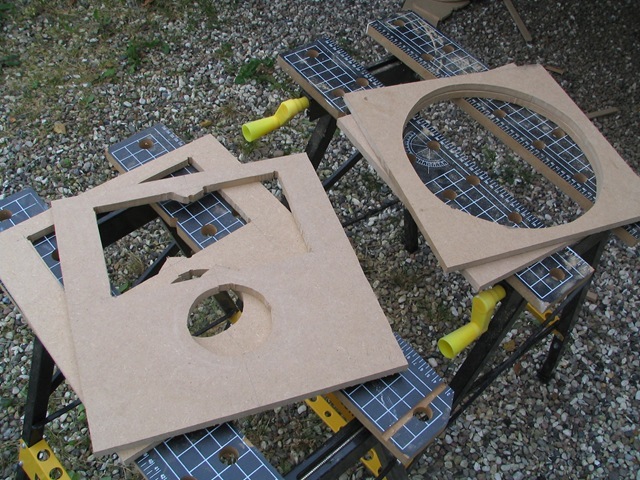 The box is built in 12mm (½") MDF. 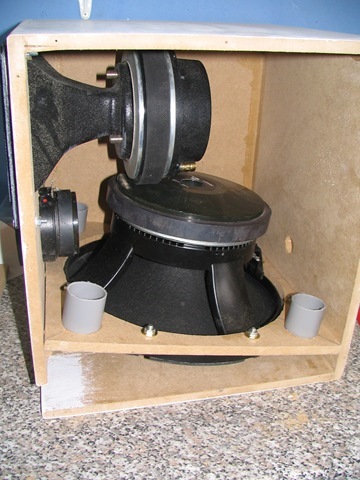 It have two 100x35x12mm (4x1½x½") reflex ports on the front and four ø40x500mm (1½x4") tubes parallel with the woofer. I measured the devices and modeled the design in Google Sketch-Up. This allowed me to position the devices real close in 3D in the box and to get the visual design that I liked. It would have been impossible for me to build the speaker without the 3D model. The next post will have the 3d model and some graphs that show the box characteristics, and notes on the crossover.